PRICED TO SELL!! This Farm Has It ALL! Bring your tools, toys and livestock. Enter through your beautiful gated tree lined drive to your charming 3/2/2 country home. Your horses will be right at home in your 3 stall barn with tack/feed room and lots of hay storage. 4 separate beautiful fenced and cross fenced pastures with large tree stands for cool summer grazing. 6 bay 3 sided pole barn will house all your toys and equipment and a separate shop with an additional 2 bay covered parking area will provide all the space you need! Roof, A/C and water heater recently replaced and never be without power again with the recently installed Generac whole house automatic generator system. 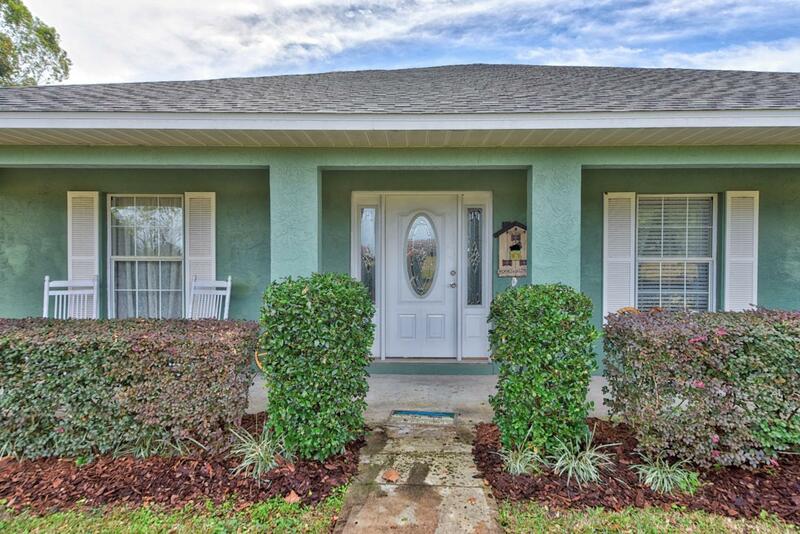 Located close to all that Ocala has to offer. Do not miss out on this spectacular opportunity.